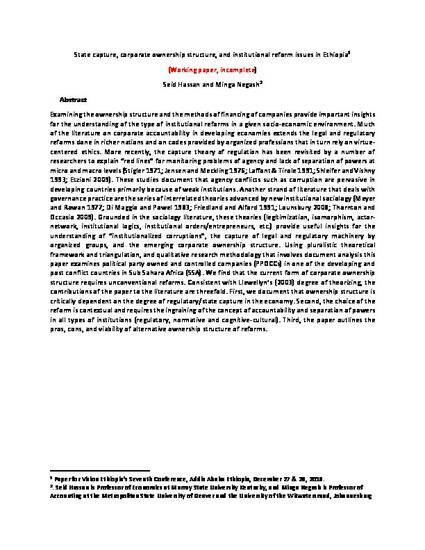 Abstract: Examining the ownership structure and the methods of financing of companies provide important insights for the understanding of the type of institutional reforms in a given socio-economic environment. Much of the literature on corporate accountability in developing economies extends the legal and regulatory reforms done in richer nations and on codes provided by organized professions that in turn rely on virtue-centered ethics. More recently, the capture theory of regulation has been revisited by a number of researchers to explain “red lines” for monitoring problems of agency and lack of separation of powers at micro and macro levels (Stigler 1971; Jensen and Meckling 1976; Laffont & Tirole 1991; Shleifer and Vishny 1993; Etzioni 2009). These studies document that agency conflicts such as corruption are pervasive in developing countries primarily because of weak institutions. Another strand of literature that deals with governance practice are the series of interrelated theories advanced by new institutional sociology (Meyer and Rowan 1977; Di Maggio and Powel 1983; Friedland and Alford 1991; Lounsbury 2008; Thornton and Occasio 2009). Grounded in the sociology literature, these theories (legitimization, isomorphism, actor-network, institutional logics, institutional orders/entrepreneurs, etc.)  provide useful insights for the understanding of “institutionalized corruptions”, the capture of legal and regulatory machinery by organized groups, and the emerging corporate ownership structure. Using pluralistic theoretical framework and triangulation, and qualitative research methodology that involves document analysis this paper examines political party owned and controlled companies (PPOCCs) in one of the developing and post conflict countries in Sub Sahara Africa (SSA). We find that the current form of corporate ownership structure requires unconventional reforms. Consistent with Llewellyn’s (2003) degree of theorizing, the contributions of the paper to the literature are threefold. First, we document that ownership structure is critically dependent on the degree of regulatory/state capture in the economy. Second, the choice of the reform is contextual and requires the ingraining of the concept of accountability and separation of powers in all types of institutions (regulatory, normative and cognitive-cultural). Third, the paper outlines the pros, cons, and viability of alternative ownership structure of reforms. Paper for Vision Ethiopia’s Seventh Conference, Addis Ababa Ethiopia, December 27 & 28, 2018.